Well that’s a bit cheeky. 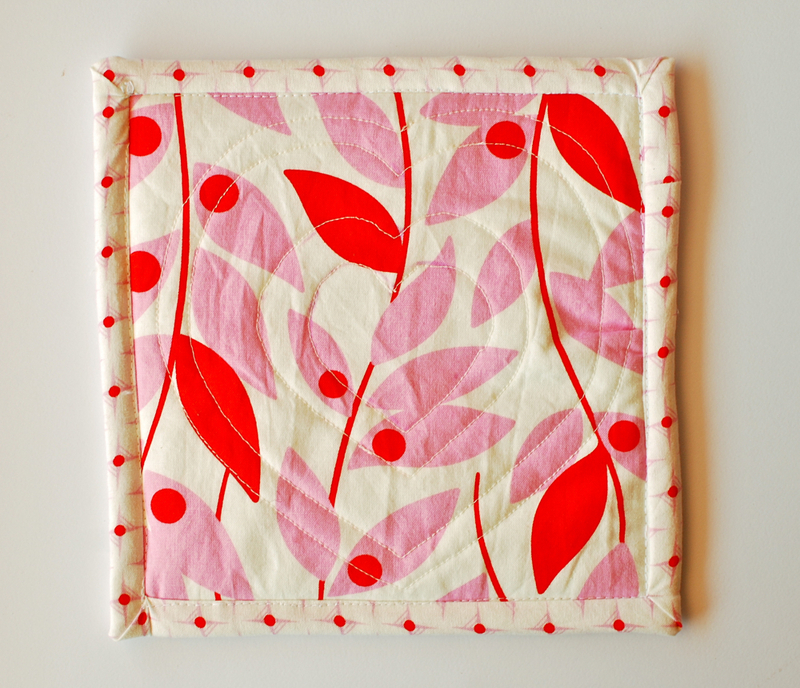 I wanted to make another one of my reverse applique dishtowels for Valentines Day, but when I saw this contest going on over at Prudent Baby, I thought, meh, may as well make it into a potholder! Now I’m all ready to bake some yummy pink & red treats! the small print: Freezer paper stencil cut with my Silhouette and painted on with fabric paint. The heart in the word “for” was 100% on purpose, and not because I accidentally painted the inside of the letter “o”. « Featured on We All Sew! Cute. I think you need one that says “Too hot to handle,” to go with that one. That really is very cute. I love it! How cute!! I’m glad someone else made some valentine cooking items. I was going to but then my husband said it was cheesy so I second guessed myself. Thanks for the confidence booster! How cute! It looks great! This is soooo cute Adrianna!! I love the saying too – it’s hilarious! I like it! Very cute! Very, very cute. But WHERE did those sprinkles come from?? 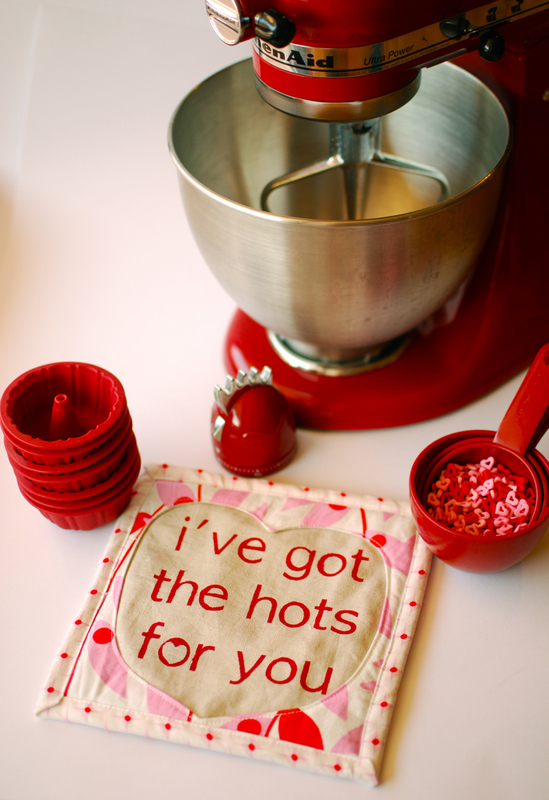 I’ve got the hots for your red mixer. Love red appliances. And love the potholder. What a fun contest. I don’t actually need the prize cause I LOOOOOOVE my Brother but good luck to you! I just saw it over at Prudent baby and thought it was ADORABLE! So cute!